Skylights provide people with more daily exposure to natural light that is scientifically proven to increase human productivity, sense of well-being, and positivity. As the skylight product lines have evolved over the years, homeowners are able to incorporate a natural light setting into virtually every room, including but not limited to closets, hallways, stairways, laundry areas, bathrooms, and offices. 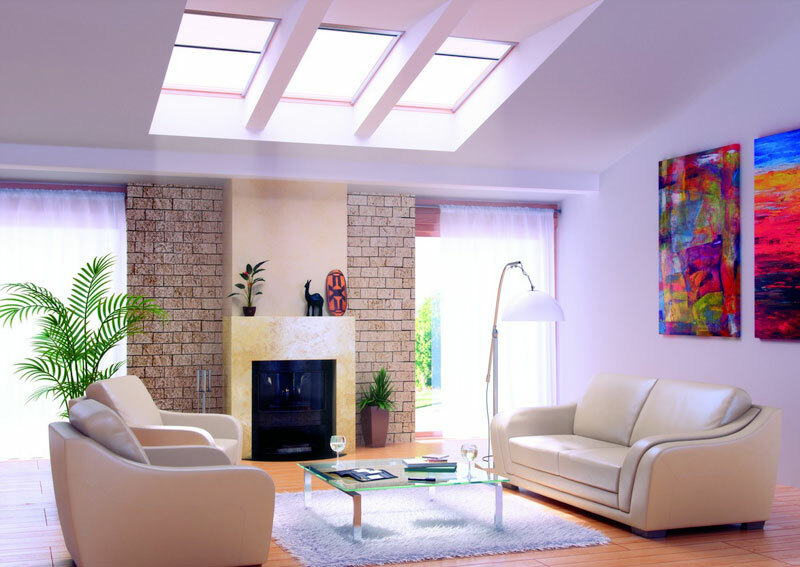 Skylights come in all sizes, styles and colors to best match your home. Enjoy spaces that feel more open, appear larger and illuminate with more vibrant natural color far more than in electric light. Use less electricity in your home with natural sky light. 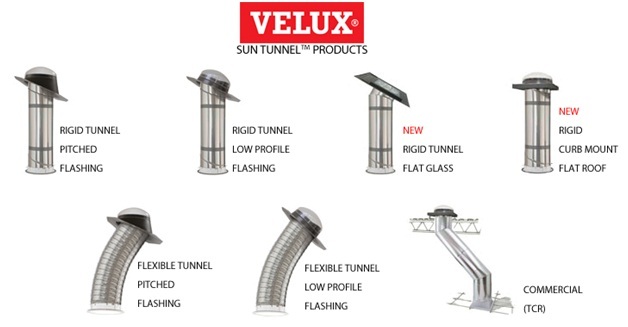 These tubular skylights, sun pipes or sometimes even called light tunnels are surprisingly more cost-effective, energy-efficient, high performing and eco-friendly than most imagine. For maximum energy efficiency, SOLATUBE manufacturers a hybrid LED (Light Emitting Diodes) model and claims the product, “automatically blends ultra-energy efficient LED light with free natural light to provide illumination throughout the day and night while significantly cutting energy use. 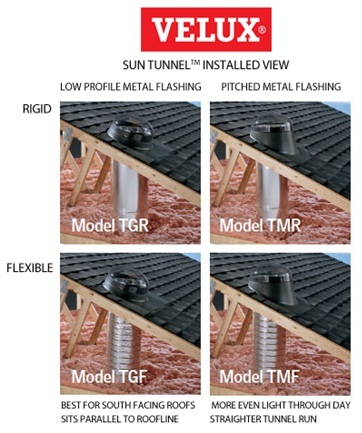 Browse leading manufacturer’s collections of top-of-the-line energy efficient skylights below.